Tender and protein-rich pieces of fish and beef in a delicious jelly. Ideal for sensitive dogs with special requirements. Without wheat, gluten or soya. 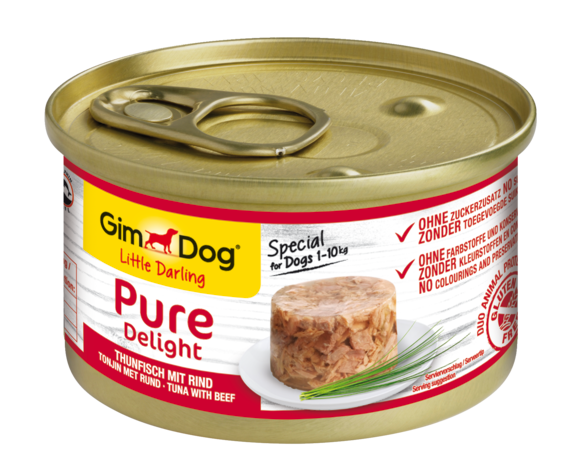 For over 50 years H. von Gimborn GmbH has been a successful pet specialist with their Biokat's brand of cat litter, and GimCat and GimDog brands for snacks for cats and dogs. The products are being sold in more than 40 countries. The score markets are Germany, the Netherlands and Italy. In the German specialist trade, Gimborn is a market leader in important segments.